Hako’s Mission: To be a leading manufacturer and distributor of consumer outdoor sports ground equipment & power products in our chosen markets worldwide. We deliver a range of quality lawn and garden products. The business also markets a more affordable range of products under the Briggs & Stratton Brand. The Ha-Ko (Tiger) brand is extremely strong in the India for its rugged outdoor product range has proven itself consistently in some of the hardest outdoor environments on earth. The product range also includes distribution of various lawn mowers, aerators and scarifiers. 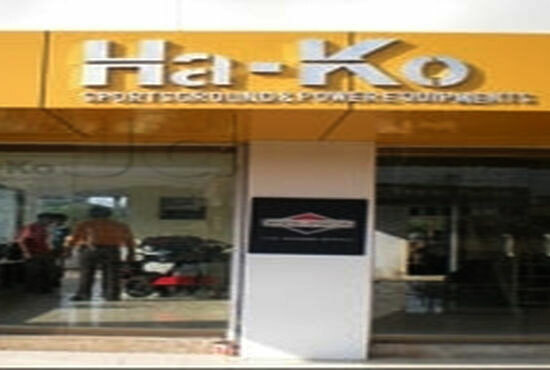 The Hako brand caters for the cost conscious end of the market, with a range of products that also includes lawn mowers, ground rollers, aquasoaker (ground drying solution), cricket, tennis, hockey bowling machines,& other sports ground implement range.